yo dude we're forming a debunking club made of active SAO fans on MAL. Care to join? Some things will require straightening out though. Hello human. i have came in please. i apologies for coming in not invited to this holy place of yours. i have finish a show that ii really like. due to have few or not existing friends i needed people to talk about that show. i have went to the statistics page in the anime file in this site. i have noticed that you have completed the show relatively recently and you have a picture which means you care about your social status to some degree. i am a weird person. i am not an English native speaker. i am not an interesting individual. some think otherwise, but i do not think so, at least in terms ....ok i do not know what to say next so let us close on that. i like to discuss or at least share my appreciation of the show. i do not know how. every person is different and so not everyone is interested in talking the same way. luck is my only ally here. thanks and again i apologies. the show i am talking about is Uchuoten Kazoku, and in English it is called the eccentric family. have a good day. always drink water. What’s appealing of the new Sao? 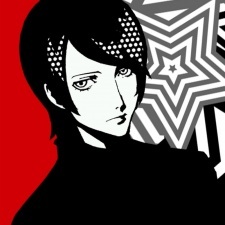 Cool Yusuke avatar. Wait, is his VA shockingly the same as with Ragna from BlazBlue?? ?